Ever miss a critical off-ramp? There’s nothing quite like realizing 10 seconds too late that, not only was that your exit, but your next chance to correct course isn’t for another 10 miles. And your gas light’s blinking. And it’s a toll road. If it’s been a while since you were in this situation, I’d invite you to join me on my next road trip. We’ll ignore the GPS and recapture that old feeling one hapless mile at a time. Or you could just picture yourself working for the state of Colorado, which just missed a golden opportunity to put the blinker on and safely exit the freeway. Instead, it’s blowing right past the off-ramp in its crusade to target Masterpiece Cakeshop owner Jack Phillips for living out his religious beliefs. Earlier this month, the state—through its Civil Rights Commission—filed a formal agency complaint against Jack, taking another crucial step toward punishing him yet again. And it did so just four months after the U.S. Supreme Court handed Jack a 7-2 victory that included a stinging rebuke of the state’s overt hostility toward Jack’s religious views, which members of the same commission had likened to those leading to slavery and the Holocaust. 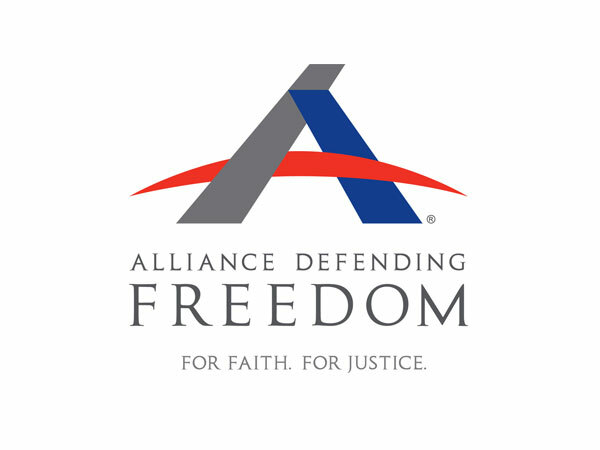 This week, Alliance Defending Freedom (ADF) filed a motion for preliminary injunction on Jack’s behalf, asking a federal court to stop Colorado from violating Jack’s constitutional rights while a lawsuit ADF filed in August moves forward. Having failed the first time around, the state’s second assault on Jack’s freedom seems doomed from the start. This time, a local lawyer prompted the complaint. On the day Jack’s first case was taken up by the Supreme Court in June of 2017, the lawyer contacted Jack’s shop and requested a pink-and-blue cake celebrating the lawyer’s gender transition from male to female. Jack’s shop politely declined to create that cake, and telephone records show that in coming months that attorney called Jack again and requested a cake celebrating Satan. It would be hard to describe a pink-and-blue design that the customer explicitly said was to celebrate a gender tradition as anything but pro-LGBT, and yet, the state of Colorado soldiers on in its attempt to punish Jack, changing the target as it goes. And it wasn’t just peculiar cake requests that Jack was dealing with in the months before and after his Supreme Court victory. There were times when Jack’s family was threatened with physical violence. Often, Jack’s wife steered clear of the shop. Plus, Jack has had to live with the constant reminder that Colorado officials—whose salaries he’s paid with his own taxes—saw his beliefs as hardly distinguishable from those of avowed racists or even the very Nazis that Jack’s dad once landed on the beaches of Normandy to defeat. Yet, not even a month had passed from the time the Supreme Court ruled that the state’s intolerance has no place in our society, when the state found “probable cause” to take another swing at Jack’s freedom. And now the commission’s formal complaint removes any doubt that the state is doubling down on its renewed effort to punish Jack. Enough is enough, says ADF Senior Vice President of U.S. Legal Division and Communications Kristen Waggoner. All of this is unnecessary. But here we are, all because the state of Colorado keeps passing up crucial off-ramps and missing opportunities to correct course.